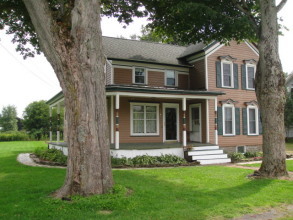 Nicely renovated Victorian with all the charm you're looking for at an affordable price! Located on .74 acre this great house offers downstairs bedroom & bath, plus LR, DR, large eat in kitchen all with period touches that will delight! Upstairs finds a large landing area suitable for home office, two bedrooms and a 'roughed in' room ready to finish as an upstairs bath!